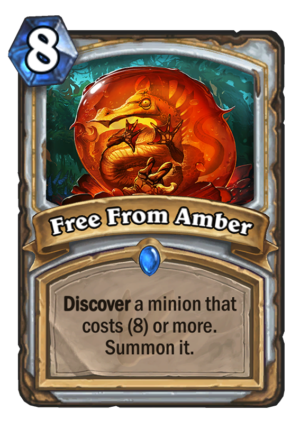 Free From Amber is a 8 Mana Cost Rare Priest Spell card from the Journey to Un'Goro set! Rating: 4.3/5. From 1025 votes. Why are so many people on the comments looking down on this card? First off, it’s guaranteed to at least get you a minion equal to your cost. Though that minion won’t be able to rigger a battlecry this card is a discover meaning you get to choose the outcome. Second, it is a spell meaning it’s cost can be reduced and able to synergize with spells. Only upside of this card is to discover a card with a negative Battlecry, so… Charged Devilsaur to face? Maybe? 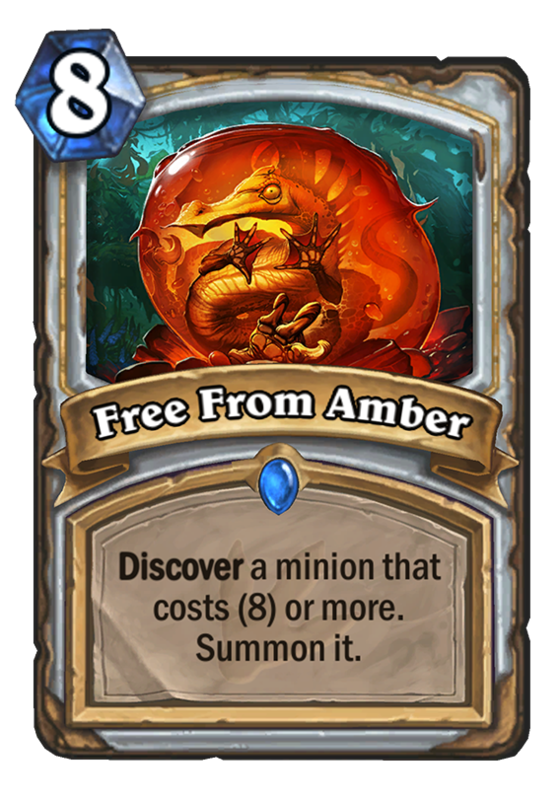 Must be upgraded to “Discover a 8-10 cost minion. It costs 0”. Currently, this card is unplayable, same as any other heavy minion without battlecry. You can not afford to spend your entire turn without affecting the opponent’s board, with very rare exceptions. 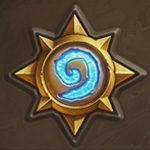 Rafam and Nefarian are good examples – a lot of value, but impossible to find time to actually play it. As it stands, there is no reason to run this over any actually good 8 drop (and with rag rotating out there’s an awful few that comes to mind). He means you play Medivh on 7 (with the coin or something like that), then you play this to get two 8-drops. Most of the valuable 8-10 drops are lacking without their battlecries, ragnaros is out, malygos was never worthwhile in priest, there’s dragonlord and y’shaarj. because of the two drop and the legendary? why would you play this over an actual big minion though? discover can only find priest and neutral minions in this case. only synergy is with medivh. It’s a shame Rag rotates but I can see this in a control priest (reno probably) alongside Medivh. By Reno I obviously mean what will now probably be referred to as Kazakus, Highlander or Singleton.